Dala Antique Rub is an easy to use, rub-on paste ideal for adding an antique mock guilded finish to items like ornate frames; wooden chests and boxes, small moulded accents and more. 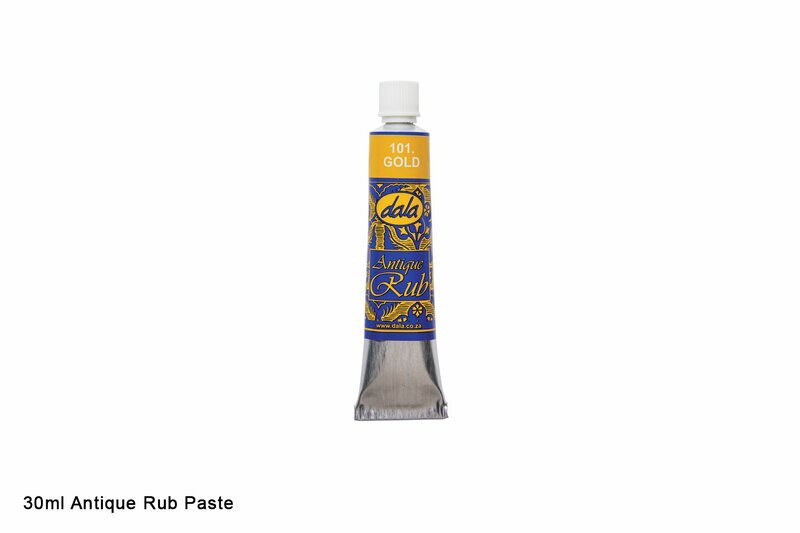 Use Dala Antique Rub straight from the tube, applying it with a cloth or finger. For brush use, dilute with Turpentine. Allow to dry overnight and buff to a fine lustre. This item has 1044 views.